What Is It About Wicker? Wicker! It's been around since the ancient Egyptians and it has come a really long way in more ways than one. 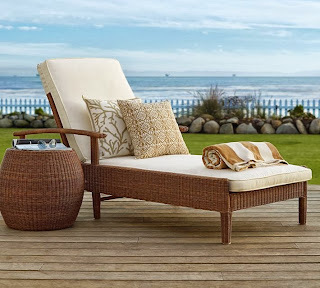 There was a time not so long ago that wicker was in danger of trending so far down the list of appropriate patio furniture material that it was close to going away for good! This type of furniture, while beautiful in a natural way, also had this tendency to succumb to the elements quickly, becoming moldy at the drop of a hat, providing a natural habitat for every bug imaginable and fading from the sun. And then we invented plastic--but fake wicker looked really fake when it was made of early plastic (plus you'd stick to it like nobody's business and then you'd have a criss-cross pattern on your legs once you got un-stuck). If you didn't sit on it or look too closely at it, it was beautiful! Fortunately for us all, progress marches on--modern science has come to the rescue and saved us all from losing out on this beautiful, ancient art-form-as-furniture, by creating "synthetic wicker" which looks and feels like the real thing, but will last a long time. If you're really a purist, keep in mind that due to other scientific advancements in resin coatings, varnish and the like, you can still get the real thing with a good, protective coating on it. But you'll pay dearly for it if you can even find it--and if you do, know that it requires a little more TLC, even with a good coating, in terms of upkeep. 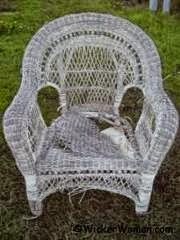 Just because it looks like all wicker doesn't mean it is. Underneath the weave and cushions, you're likely to find a metal frame (probably aluminum). This is a good thing, since not only does it reinforce your furniture, the ability to incorporate metal into a natural wicker weave allows for the crafting of things you used to not be able to get in wicker (gliders, serving carts or bar stools, to name a few). Best of all, however, modern wicker is fairly maintenance-free--you can hose it down easily and let it air-dry and it'll look as good as new, since it's treated for the elements as part of its outside coating (and that includes sun-fading!). Another great advantage is that if you scratch or chip your piece, the color is embedded all the way through the material, so you won't see "chips" where color has fallen away. The multitude of styles that modern technology has allowed us to apply to wicker means you are sure to find a piece that pleases you, even if you're incredibly picky. So when you start looking for new furniture for next season (or if you're still out and about finding year-end deals this year), keep wicker in mind. 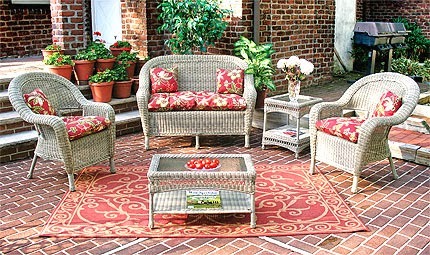 Remember, too, that we have a large variety of replacement cushions specifically for various lines of wicker furniture, including a special series of Erwin & Sons replacement cushions. We can help you spruce up your current wicker with some fabulous colors and comfortable seating!